When I first drove the Mini, a few years ago, it was love at first drive. The car was pure driving delight, with brilliant feedback and super sharp dynamics. Like driving a go-kart on the streets - throw practicality out the window, just have fun. Three years on and a new Mini is here in a new diesel flavour and I can't wait to see if it's as exciting a package. Quite a lot has changed in the new generation car, most of it for the better. For starters the suspension has received a complete re-tune, front and rear, with tweaks to the front MacPherson struts and revised spring and damper rates all around. The wheelbase has also increased by 28mm and the front and rear footprints have also been widened by 42mm and 34mm respectively. The larger footprints and suspension changes have resulted in sharp handling, like the old car but with considerably better insulation from the road. It will still crash over really bad bumps but it's not quite as bone jarring. 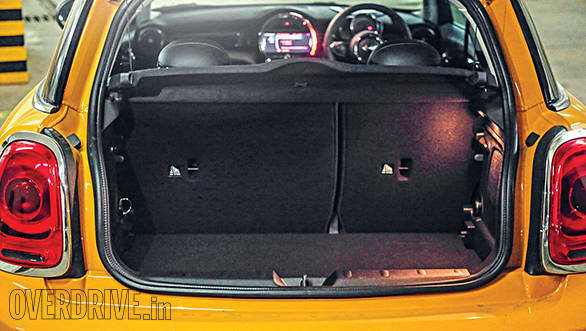 The Mini is also longer, wider and taller than before and though it's not visually apparent from the outside, it has allowed for slightly more space on the inside. The boot has grown from a measly 160 litres to a slightly larger 211 litres. And I was actually able to squeeze myself into the rear seats. It wasn't comfortable and not at all graceful getting out, but in a crunch situation, both figuratively and literally, you could fit four adults into this Mini. The grille and the bumper have changed though not drastically and it's the LEDs around the headlights that really let you know this is the new generation car. In addition to the space improvements, the interiors have also changed for the better with superior materials and an improved layout to some of the controls. 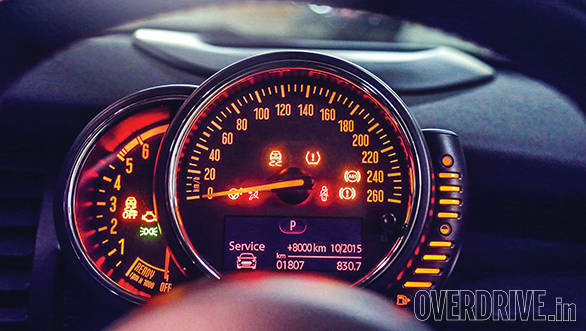 The large speedometer that dominated the centre of the dashboard has now moved back to where it belongs - in front of the driver. It's been replaced with a funky circular multicoloured LED that can be programmed to light up to either display driving mode, engine revs or ambient lighting. It surrounds a large 8-inch colour display (optional) with a very funky menu system that's a lot easier to use. The biggest change to the India line up is the addition of this 1.5-litre, three pot diesel engine producing 114PS and 270Nm. 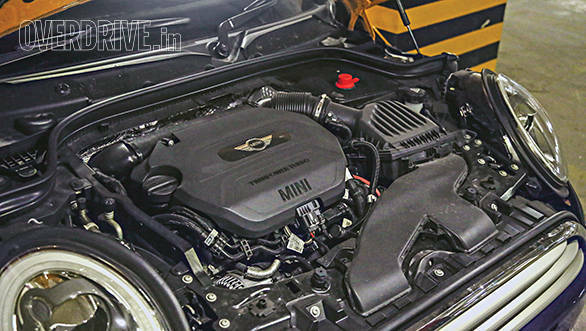 It's a very refined three cylinder engine that pulls linearly and strong from just above idle. There is very little turbo lag giving it really good throttle feel But its acceleration time of 10.2s to 100kmph tells you it's really not the quickest. 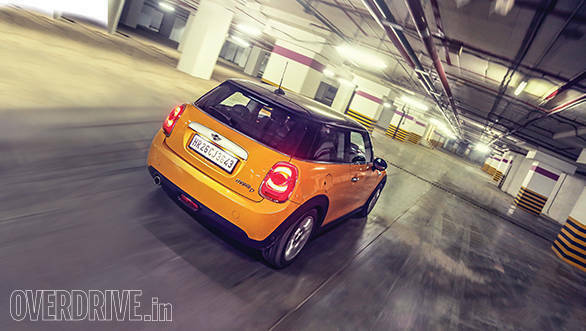 And while the Mini is not quite the car to tour in, the diesel engine is a pure delight on an open road. It easily crosses legal speed limits with no drama and remains smooth and quiet at cruising speeds with only some wind noise creeping into the well insulated cabin. In a car like the Mini the quiet engine is a little disappointing as there's no aural drama to accompany the excellent visual delight. Further amplifying that smooth feeling is the 6-speed, slick shifting automatic transmission. It would have been nice to have paddle shifts in town but that's an option only available on the top of the line Cooper S. It's efficient too returning 16.95kmpl in our combined cycle giving the Cooper D a fairly good 745km tank range. 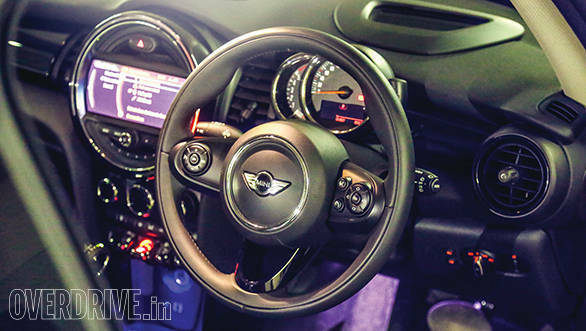 The new Mini also comes with three drive modes to spice things up. Green, Mid and Sporty for 'full go-kart feeling' as the display tells you. These modes adjust steering feel, throttle response and, if you checked the dynamic damper option box, the damper settings as well. 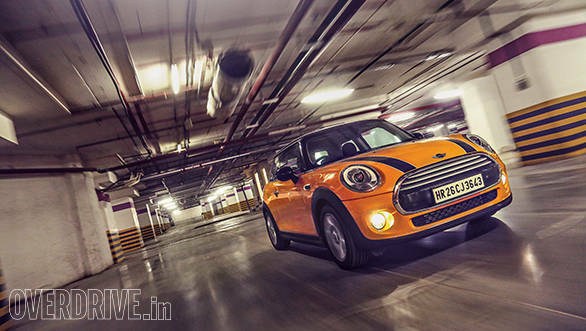 There's a lot of fun to be had with any Mini and the diesel is no exception. 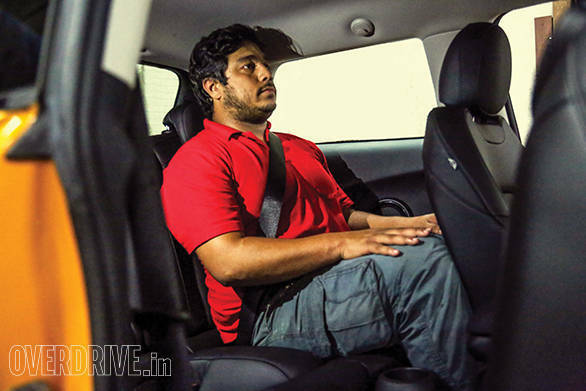 There's the three drive modes to play with, a funky and now more functional interior, a proper mechanical handbrake and signature agile handling. The diesel brings a sort of duality to the package with a smooth engine that extends the range of the car's capabilities on one hand but also loses some fun factor points for being a little slow. The increased tank range means you can consider taking it to Goa for New Years but you might miss the roar and punch of the more powerful Cooper S coming down Amboli Ghat and as you blip the throttle while crawling through traffic on New Year's Eve. The base price of Rs 31.85 lakh doesn't quite tell the complete story and once kitted out, like the car you see in these images, that asking price could easily cross the Rs 38 lakh mark. If you're happy to part with your money for a Mini with all the show, a little less go and some practicality thrown in, then the Cooper D could be just the car for you. For the full Mini experience you might want to wait for the Cooper and Cooper S that are just around the corner.